The following is the full proposition presented to the voters by the Beverly Hills Unified School District. (i) Improve earthquake and fire safety of all school buildings. (ii) Repair or replace old, leaky roofs, and inadequate electrical systems. (a) Prohibit the State from taking any of the funds raised. (b) All expenditures will be subject to ANNUAL INDEPENDENT FINANCIAL AUDITS. (c) No funds will be used for administrators’ salaries and/or pensions. (d) All funds will stay in the District and be subject to local control. (e) AN INDEPENDENT CITIZENS’ OVERSIGHT COMMITTEE WILL BE APPOINTED TO ENSURE THAT ALL FUNDS ARE SPENT ONLY AS AUTHORIZED. Repair or replace old, worn-out school floors and walls, restrooms, windows, and leaky roofs. Replace and repair aging school plumbing systems and restrooms. Repair, modernize, construct and acquire classrooms, replacing out-of-date science labs, facilities, equipment with up-to-date classrooms and science equipment. Add electrical service capacity to relieve overloaded electrical systems so that it can handle modern instructional technology. Install energy efficient systems to save money and protect the quality of instruction in core subjects like reading, math, science and technology. Replace older heating, ventilation, air conditioning and lighting systems with building code compliant, energy efficient systems which will save money for educational uses. Improve the earthquake safety of school buildings. Improve lighting, fencing, windows, locks and other security systems to ensure safe school environments. Upgrade schools to improve accessibility by disabled students and teachers. Remove hazardous materials like asbestos, lead, fungus or mold from older school sites. 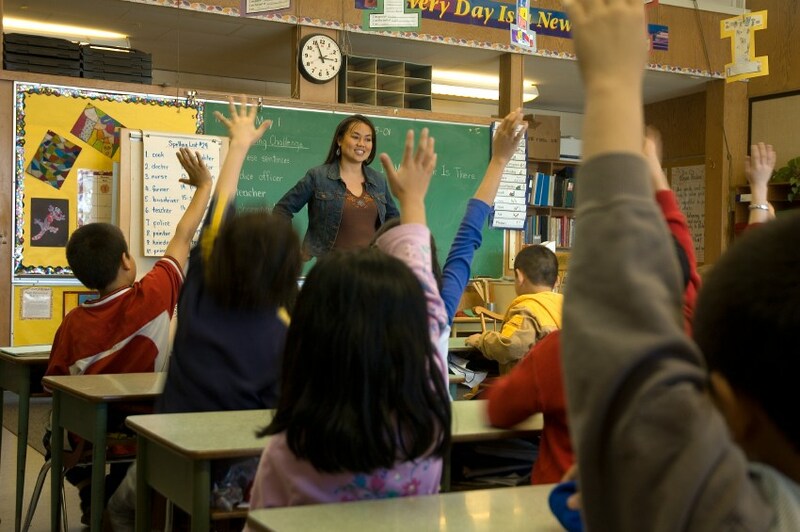 Upgrade heating, air conditioning and air filtration to ensure healthy learning environments. Beverly Hills High School oil well remediation and site repurposing, as required by State and local legal requirements. Upgrade and purchase computers and modern learning technology for the classroom for improved student performance. Provide up-to-date technology, data and communication equipment. Upgrade and expand wireless systems, telecommunications, Internet and network connections. Upgrade and replace computers, hardware systems, classroom and library technology and teaching equipment to enhance instruction. Upgrade and repair aging school electrical systems so that schools can have modern computers and learning technology. Modernization and/or replace Buildings B3, B4, C, aquatic center, site improvements, sports fields, parking project, and maintenance and operations offices. Modernization and/or replace Buildings E, new parking structure/play courts, sports fields, and site improvements. Chiller replacement and Building A roof. The listed projects will be completed as needed. Each project is assumed to include its share of furniture, equipment, architectural, engineering, and similar planning costs, program management, staff training expenses and a customary contingency, and escalation for unforeseen design and construction costs. In addition to the listed projects stated above, the Project List also includes the payment of the costs of preparation of all facility planning, facility assessment reviews, environmental studies, construction documentation, inspection and permit fees, and temporary housing of dislocated District activities caused by bond projects. The repair of school facilities includes: the modernization of classrooms, including cabinetry, duct work, wiring, electrical systems, upgrading/replacing surface and below ground school site parking, campus accessibility, drop-off areas, roadways, entrances and exits, utilities, including the installation of alternative energy systems such as, but not limited to, solar panels; upgrade irrigation systems, grounds, playground equipment, hard court surfaces, cracked concrete, asphalt and brick surfaces, shade structures for student assembly and protecting students from inclement weather during lunch, libraries, and District support facilities; installing enhanced signage and fire sensors; improving restrooms and drinking fountains; upgrading heating, ventilation and air conditioning systems, athletic facilities, gyms, pools and play fields for safety and operational efficiency; renovating and painting interior and exterior building surfaces to extend their useful life; installing security, safety and communication systems and equipment; replacing portable classrooms and renovating auditoriums; upgrading ceilings, lighting, window and floor coverings (including tiles and carpeting) and kitchen equipment. The Project List also includes the refinancing of any outstanding lease obligations, the reimbursement of advances made by the District or City of Beverly Hills for oil well remediation, or for bridge loans taken to initiate voter approved projects; the financing/refinancing of real property acquisition and improvements; and acquiring land, making site improvements, building infrastructure and/or constructing additional facilities thereon, for the purpose of expanding instructional programs to meet future educational demands. The budget for each project is an estimate and may be affected by factors beyond the District’s control. Some projects throughout the District may be undertaken as joint use projects in cooperation with other local public or non-profit agencies. The final cost of each project will be determined as plans are finalized, construction bids are awarded and projects are completed. Based on the final costs of each project, certain of the projects described above may be delayed or may not be completed. Demolition of existing facilities and reconstruction of facilities scheduled for repair and upgrade may occur, if the Board determines that such an approach would be more cost-effective in creating enhanced and operationally efficient campuses. Necessary site preparation/restoration and landscaping, may occur in connection with new construction, renovation or remodeling, or installation or removal of relocatable classrooms, including ingress and egress, removing, replacing, or installing irrigation, utility lines, trees and landscaping, redirecting fire access, and acquiring any necessary easements, licenses, or rights of way to the property. Bond proceeds shall be expended only for the specific purposes identified herein. Proceeds of the bonds may be used to pay or reimburse the District for the cost of District staff when performing work on or necessary and incidental to the bond projects. The District shall create an account into which proceeds of the bonds shall be deposited and comply with the reporting requirements of Government Code § 53410. FISCAL ACCOUNTABILITY: IN ACCORDANCE WITH EDUCATION CODE SECTION 15272, THE BOARD OF EDUCATION WILL APPOINT A CITIZENS’ OVERSIGHT COMMITTEE AND CONDUCT ANNUAL INDEPENDENT AUDITS TO ASSURE THAT FUNDS ARE SPENT ONLY ON DISTRICT PROJECTS AND FOR NO OTHER PURPOSE. THE EXPENDITURE OF BOND MONEY ON THESE PROJECTS IS SUBJECT TO STRINGENT FINANCIAL ACCOUNTABILITY REQUIREMENTS. BY LAW, PERFORMANCE AND FINANCIAL AUDITS WILL BE PERFORMED ANNUALLY, AND ALL BOND EXPENDITURES WILL BE MONITORED BY AN INDEPENDENT CITIZENS’ OVERSIGHT COMMITTEE TO ENSURE THAT FUNDS ARE SPENT AS PROMISED AND SPECIFIED. THE CITIZENS’ OVERSIGHT COMMITTEE MUST INCLUDE, AMONG OTHERS, REPRESENTATION OF A BONA FIDE TAXPAYERS ASSOCIATION, A BUSINESS ORGANIZATION AND A SENIOR CITIZENS ORGANIZATION. NO DISTRICT EMPLOYEES OR VENDORS ARE ALLOWED TO SERVE ON THE CITIZENS’ OVERSIGHT COMMITTEE. No Administrator Salaries: Proceeds from the sale of the bonds authorized by this proposition shall be used only for the acquisition, construction, reconstruction, rehabilitation, or replacement of school facilities, including the furnishing and equipping of school facilities, and not for any other purpose, including teacher and school administrator salaries and other operating expenses. Section 1. That the Board, pursuant to Education Code Sections 15100 et seq., 15264 et seq., and Government Code Section 53506, hereby requests the Los Angeles County Registrar of Voters to conduct an election under the provisions of Proposition 39 and the Act and submit to the electors of the District the question of whether bonds of the District in the aggregate principal amount of $385,000,000 (the “Bonds”) shall be issued and sold for the purpose of raising money for the projects described in Exhibits “A” and “B” hereto. Both exhibits are directed to be printed in the voter pamphlet. The District's Superintendent, or designee, is hereby authorized and directed to make any changes to the text of the measure, or to the abbreviated form of the measure, as may be convenient or necessary to comply with the intent of this Resolution, the requirements of elections officials, and requirements of law. Section 2. That the date of the election shall be June 5, 2018. Section 4. That the authority for ordering the election is contained in Education Code Sections 15100 et seq., 15264 et seq., and Government Code Section 53506. Section 5. That the authority for the specifications of this election order is contained in Sections 5322 of the Education Code. Section6. That the Los Angeles County Registrar of Voters and the Los Angeles County Board of Supervisors are hereby requested to consolidate the election ordered hereby with any and all other elections to be held on June 5, 2018 within the District. Pursuant to Elections Code Section 10403 the Board acknowledges that the consolidation election will be held and conducted in the manner described in Elections Code Section 10418. Section 7. That the Secretary of the Board is hereby directed to deliver a certified copy of this Resolution to the Los Angeles County Registrar of Voters no later than March 9, 2018. Section 8. That any Bonds issued pursuant to Section 15264 et seq. of the Education Code or Section 53506 of the Government Code. The maximum rate of interest on any Bond shall not exceed the maximum rate allowed by Education Code Sections 15140 to 15143, as modified by Government Code Section 53531. Section 9. That the Board requests the governing body of any such other political subdivision, or any officer otherwise authorized by law, to partially or completely consolidate such election and to further provide that the canvass of the returns of the election be made by any body or official authorized by law to canvass such returns, and that the Board consents to such consolidation. The Board further authorizes the submission of a tax rate statement and primary and rebuttal arguments, as appropriate, to be filed with the Los Angeles County Registrar of Voters by the established deadlines. Section 10. Pursuant to Section 5303 of the Education Code and Section 10002 of the Elections Code, the Board of Supervisors of Los Angeles County is requested to permit the Registrar of Voters to render all services specified by Section 10418 of the Elections Code relating to the election, for which services the District agrees to reimburse Los Angeles County, such services to include the publication of a Formal Notice of School Bond Election and the mailing of the sample ballot and tax rate statement (described in Section 9401 of the Elections Code) pursuant to the terms of Section 5363 of the Education Code and Section 12112 of the Elections Code. ADOPTED, SIGNED AND APPROVED this 27th day of February, 2018.